Oddmall Hotline : 425-246-2486 – Messages are not checked daily. Email for contact. 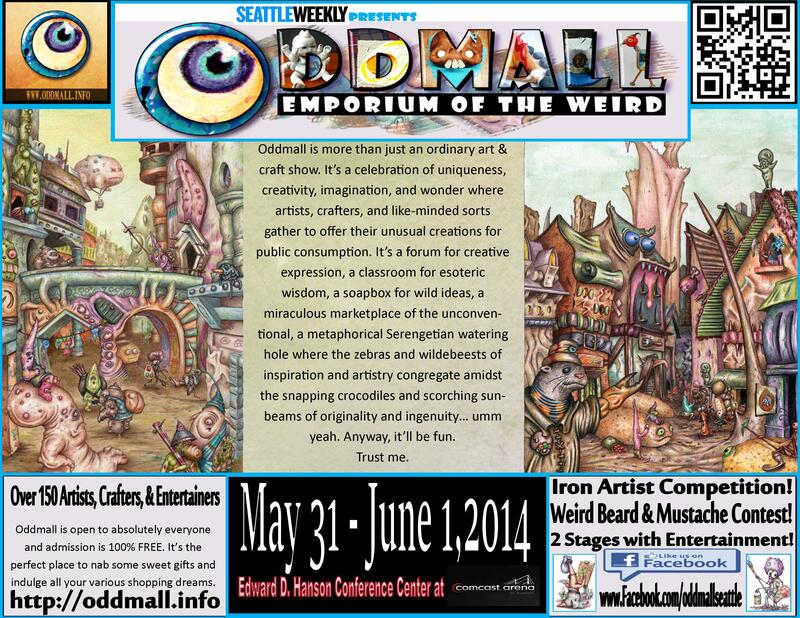 Oddmall Seattle is looking for advertising partners and sponsors. If you are interested, please see our Sponsors page for more information. 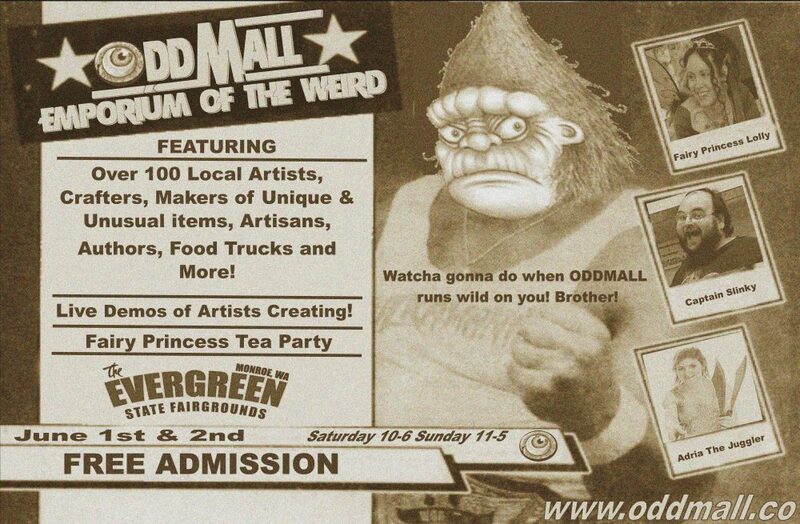 Please contact David at oddmallseattle@gmail.com for media inquiries. Volunteers – Oddmall Awesome Squad! If you’d like to volunteer to help out with Oddmall in any way please email David at oddmallseattle@gmail.com and we’ll be friends. The best way to help is simply by spreading the word. Check out the Oddmall Seattle Facebook page and the Oddmall Seattle Pinterest page – show them to all your friends (and this site too). Please post any of these Oddmall banners on your website and link them back here.